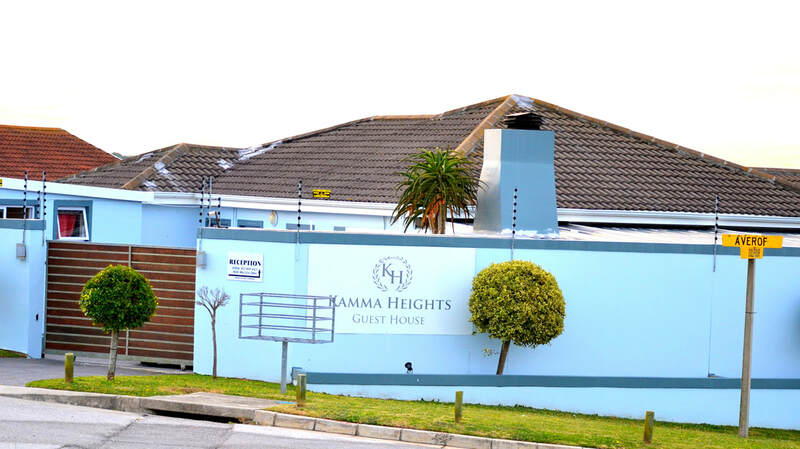 Kamma Heights Guest House is situated in the upmarket suburb of Kamma Heights in Port Elizabeth, which is close to Walmer park shopping centre, Kragga Kamma Game reserve, Circular Drive Gardens Shopping centre ; We are only six kilometers to Baywest Mall and about 10km to the beach and airport. We offer overnight accommodation in Port Elizabeth which is ideal for both business and leisure travellers. ​There is safe parking for guest vehicles behind access controlled gates . We have two classic rooms and both have a double bed with an en-suite shower bathroom. We have two Lux Delux rooms both with an en-suite shower bathroom. Rooms have one double bed, one single bed and a double sleeper couch. This unit is ideal for a family or a couple with two kids or teenagers. It has two interleading rooms the first one being an open plan bachelor with a double bunk bed, stove, microwave, fridge and all kitchen ware. There is a door leading to the second room with a double bed and an en-suite shower bath.